Beans, greens (especially cruciferous vegetables like broccoli, cabbage, and cauliflower) and heavy carbohydrate-laden foods can cause gassiness and bloating. 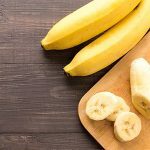 These foods have carbohydrates that are linked to proteins or fats (known as glycoproteins or glycolipids) which aren't effectively broken down in the gut; these poorly-digested particles then serve as a food source for intestinal bacteria. These bacteria ferment the leftovers producing hydrogen and carbon dioxide gas as byproducts. Excess gas is the culprit for most of the discomfort we feel when eating these foods. One enzyme that halts this process is alpha galactosidase. The extent to which we can break down starchy, hard-to-digest foods is relatively dependent upon the amount of alpha-galactosidase present. The human body produces these enzymes in the mouth in the form of saliva, as well as in the pancreas, from which it moves into the small intestine and the rest of the digestive tract. With age, the body produces less of this enzyme. If we do not produce enough because of age, genetics, or for any other reason, we greatly increase our chances of having undigested or partially digested food particles in our digestive tracts that can stimulate the growth of bacteria, lead to indigestion, cause abdominal cramps, create gas, and help develop an environment that foster overgrowth of Candida and yeast infections. What Does Alpha Galactosidase Do? Alpha Galactosidase is known as a glycoprotein. It hydrolyzes molecules from glycolipids and glycoproteins found in complex sugars. On a cellular level, alpha-galactosidase causes an important reaction in the cellular lysosome, an organelle inside our cells that is crucial to the breakdown of multiple types of biomolecules. 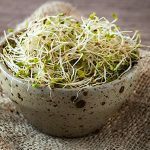 In other words, it helps us break down the polysaccharides and oligosaccharides found in foods that are typically more-challenging to digest such as peanuts, beans, lentils and cruciferous vegetables, such as cauliflower, cabbage, broccoli and Brussels sprouts. Alpha Galactosidase helps digest complex sugar and fat. Without this enzyme, sugar-fat complexes can accumulate in the gut, and later in the rest of the body. Without enough alpha-galactosidase, the poorly digested sugar-fat can build up in the muscles and chambers of the heart, as well as the blood vessels, kidneys, and nervous system tissues. Moreover, alpha-galactosidase enzymes help us break down carbohydrates, depriving bacteria of toxic, gas-producing fuel. 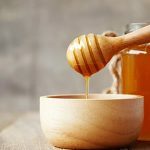 In a double-blind study of oral alpha-galactosidase to treat dietary oligosaccharide intolerance done at the Department of Family and Preventive Medicine at the University of California, it was found that an over-the-counter oral solution of alpha-galactosidase could prevent gas and other gastrointestinal symptoms. Similarly, in a preliminary double-blind controlled trial, it was found that individuals using a supplementation with alpha-galactosidase could better digest a meal of beans than when not taking the supplement. 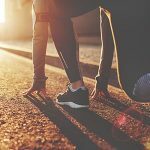 Rather than completely giving up carbohydrates, using an alpha-galactosidase enzyme may act as a treatment for both complex carbohydrate intolerance and regular gassiness. This may help people suffering from gluten intolerance and other food sensitivities as alpha-amylase aids in the digestion of potato, wheat, corn, and rice starch. 4. May help with fabry's disease. Studies show that people without enough alpha-galactosidase can experience a very serious condition known as Fabry's disease, which can later lead to kidney malfunction and an increased risk of heart disease. A genetic condition, Fabry disease causes abnormal deposits of fatty substances to accumulate in blood vessel walls, due to the inherited lack of alpha-galactosidase. Currently, the U.S. government is sponsoring clinical trials to study more about how Alpha Galactosidase can prevent or treat this serious condition. GalU (Galactosidase Unit is an FCC assay for measuring enzymatic activity. One Galactosidase Unit is the defined as the quantity of enzyme that will liberate 1 μmol/min of p-nitrophenol under the conditions of the assay. The "FCC" stands for Foods Chemical Codex and is a division of USP (United States Pharmacopeia). It sets standards for ingredients. In the case of enzymes, FCC is a standard assay used to accurately determine the activity of enzymes. 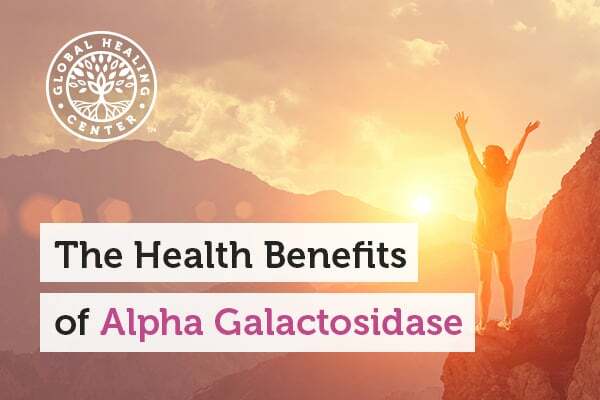 Where Can I Find The Best Source of Alpha Galactosidase? The product VeganZyme® contains a 100% vegan form of Alpha Galactosidase produced by the natural fermentation process of Aspergillus Niger. It comes from all vegetarian, non-GMO sources, is kosher certified, gluten free, made in the USA from globally sourced ingredients, contains no animal products, and is completely suitable for vegetarians and vegans. VeganZyme is the most advanced full-spectrum systemic and digestive enzyme formula in the world and is free from fillers and toxic compounds. This formula contains digestive enzymes which help digest fats (lipids), sugars, proteins, carbohydrates, gluten, fruits and vegetables, cereals, legumes, bran, nuts and seeds, soy, dairy and all other food sources.